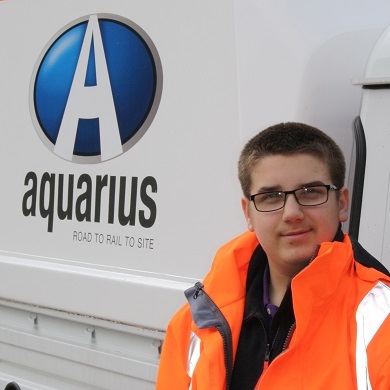 Starting at Aquarius in the beginning of February 2016 as an Office Administrator, Greg is working towards an Apprenticeship in Business Administration. Greg left school after completing his GSCE’s and went on to do a NVQ in Food and Beverage Service in Hospitality. He began his apprenticeship in February 2016. Greg enjoys being part of a team, and joined Aquarius Rail to pursue his interest in Business and IT. His appointment is part of Aquarius’ growth strategy. Greg reports to our Operations & Compliance Manager, and supports the Aquarius management team.